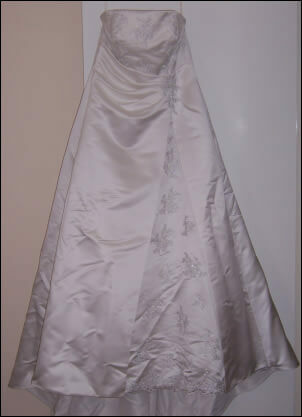 Gorgeous Sleeveless Size 16 Wedding Dress Immaculate condition, lovely silver beading, very slimming tummy gathering. Dress has a tie up back so it could fit 16 - 18. Very comfortable to wear. 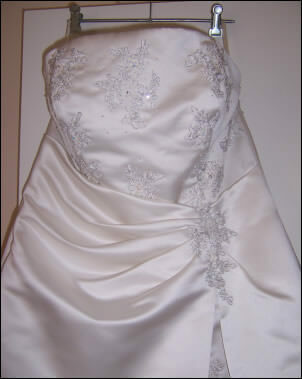 I am also throwing in a medium length veil with embroided swarvoski crystals on teired ends. Is fully dry-cleaned not a mark.